Blog » Crafts for Summer and SHARK WEEK! Crafts for Summer and SHARK WEEK! As schools everywhere let out for the summer, Mighty Kids need some crafts to do! Learning has been known to dwindle during the summer months, but our crafts will keep kids thinking (and having FUN) until school starts up again. A great source for summer activities and learning is The Discovery Channel's SHARK WEEK, which takes place JULY 5th-11th. Not only does Shark Week get kids geared up about animals, but it also provides a lot of information! 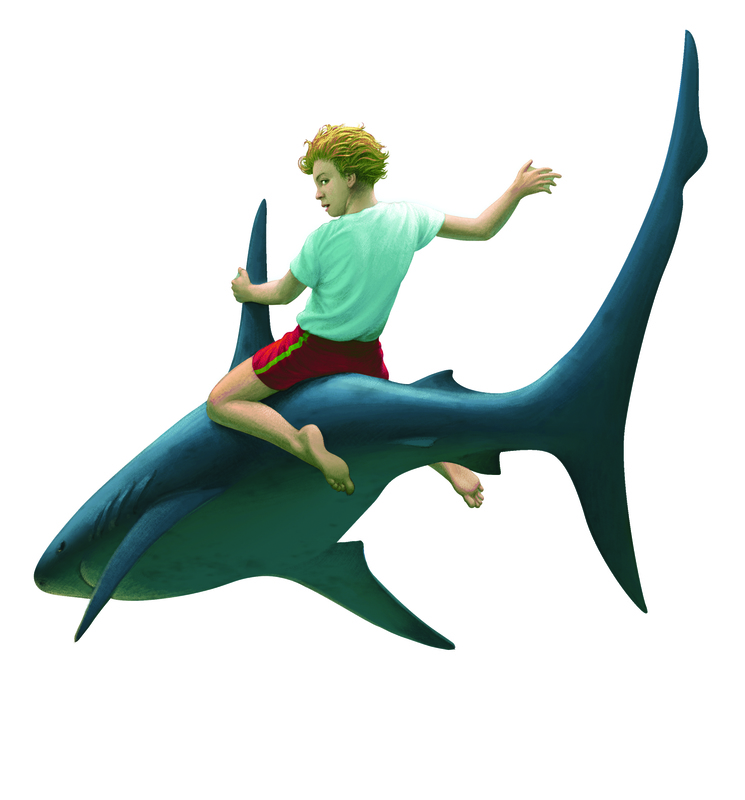 Children will love all of the action-packed educational material Shark Week has to offer. The summer crafts we have concocted go hand in hand with Shark Week to provide a fun-filled 7 days! To get started with our crafts, get yourself copies of Ellen Prager's The Shark Whisperer and The Shark Rider, books one and two of the Tristan Hunt and the Sea Guardians series. 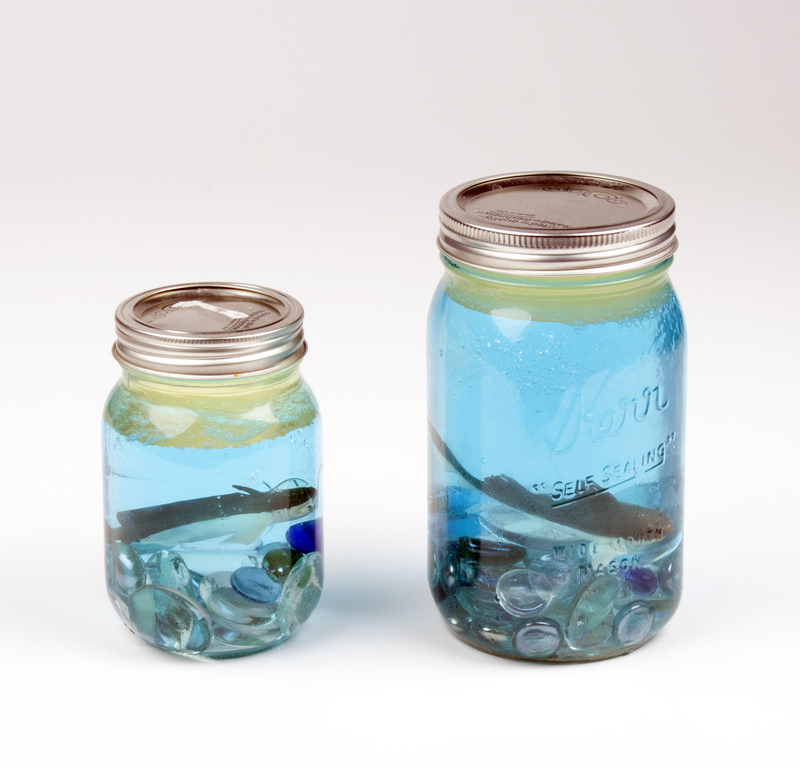 Fill your mason jar 2/3 of the way with water. Add 1 drop of blue food dye. Decorate the bottom of your shaker with blue glass beads. Add any sharks from your toob that you desire! Fill the jar the rest of the way with vegetable oil. 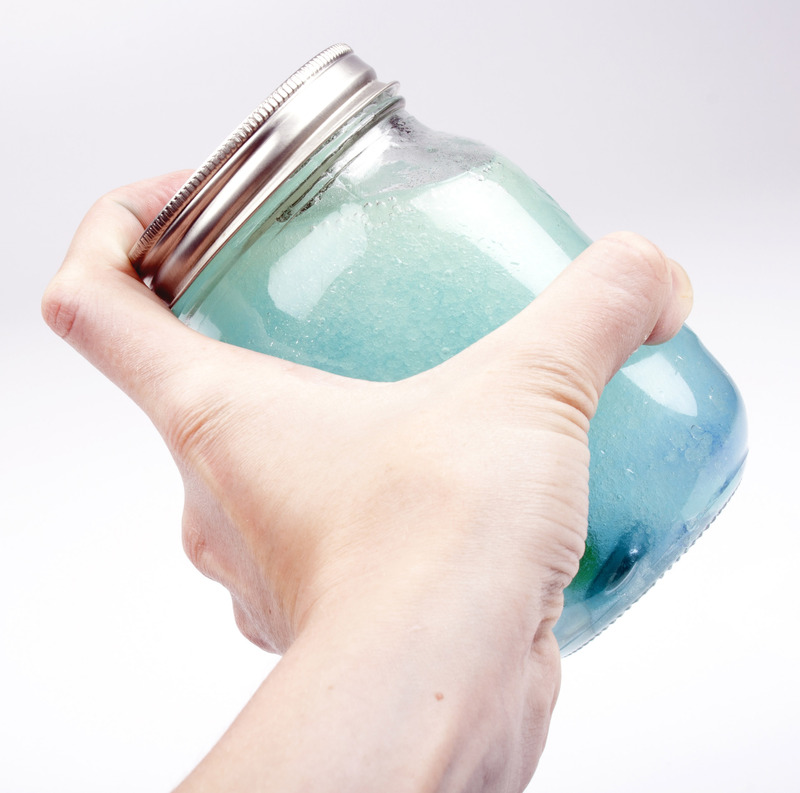 Apply your glue to the rim of the mason jar. Screw the top onto the mason jar. 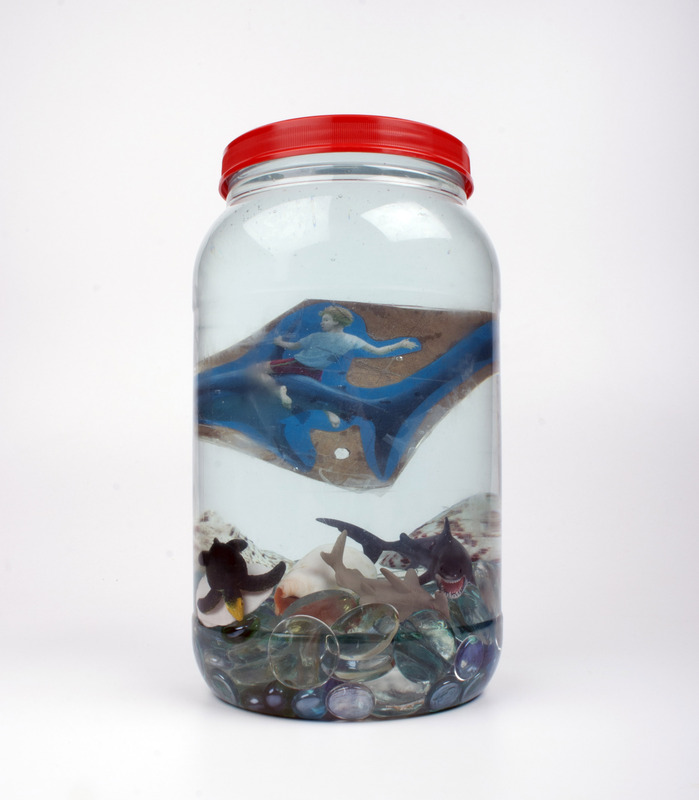 Shake it up and watch the sea foam settle to reveal your shark! 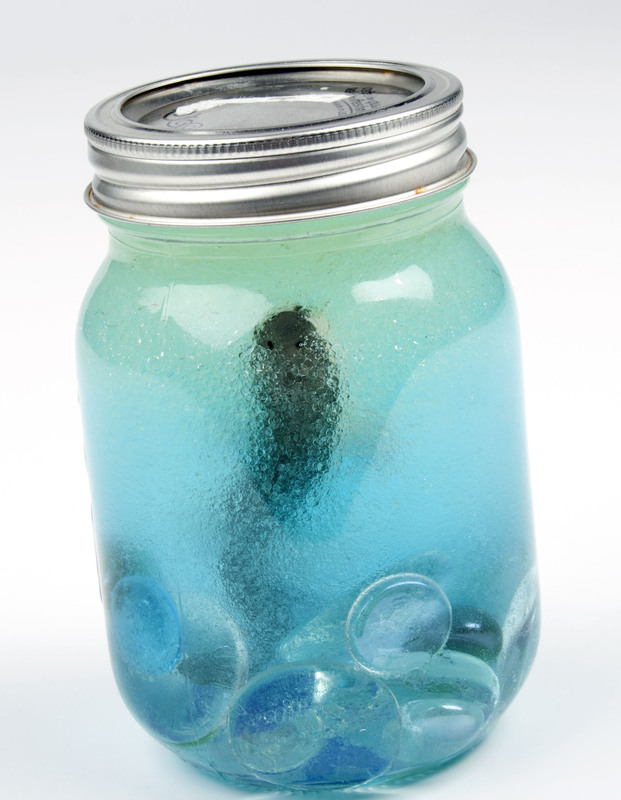 Decorate the bottom of your jug with blue glass beads, sea creatures, seashells, or whatever else you would like! Peel open your laminating sheet and carefully place your mounted Tristan in between the sticky sheet and the clear sheet. Enclose him in the laminating sheet. Trim around the edge of Tristan so that he is laminated (without any holes along the edges - should any holes emerge, cover them with packaging tape). Punch a hole through the bottom portion of your mounted Tristan. Feed the fishing wire through the hole and tape it shut with packaging tape. Tie the other end of the fishing wire to a rock so Tristan can be anchored to the bottom of his aquarium. Hide the rock among the blue glass beads. Fill your jug with water. Dr. Ellen Prager - author of the Tristan Hunt Series - is a marine scientist and author, formerly the chief scientist at the world’s only undersea research station in the Florida Keys. With her ability to make science fun and understandable for people of all ages, she has built a national reputation as a spokesperson on earth and ocean science issues. Dr. Prager has participated in research expeditions to locations such as the Galapagos Islands, Papua New Guinea, Fiji, and throughout the Caribbean. She now acts as the science advisor to the Celebrity Cruise ship Xpedition in the Galapagos. She lives in St. Petersburg, Florida, where she spends her time writing, consulting, and spending as much time on and in the ocean. She works closely with Mission Blue to raise awareness on the treatment of marine life, as well as protected marine areas. Dr. Prager is also a regular contributor to The Huffington Post.